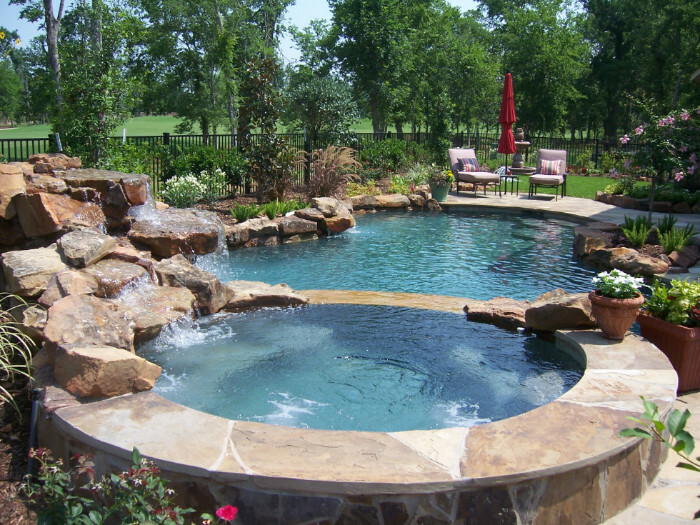 POOLS - Custom Outdoors Inc. 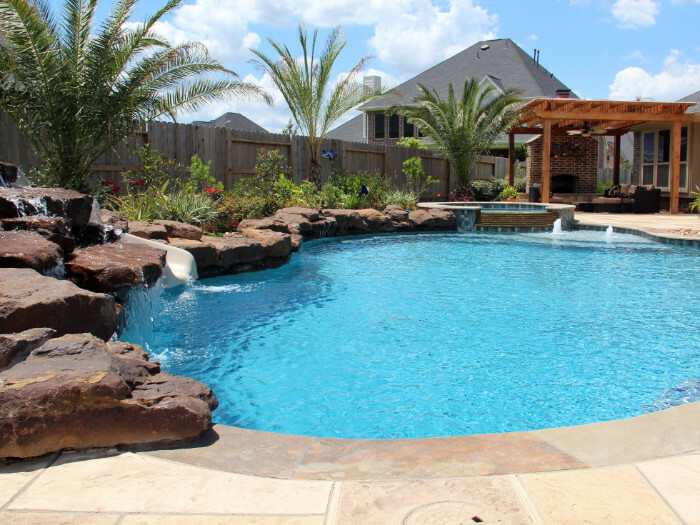 Swimming pools are undeniably one of the best and most popular additions to any backyard. 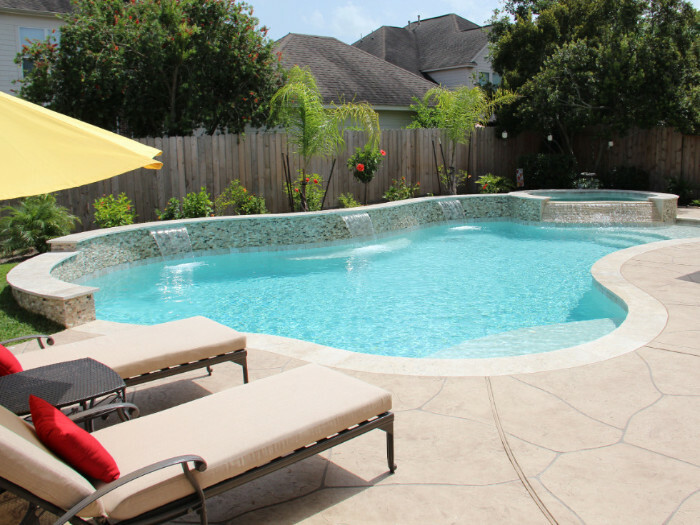 In our hot and humid Houston environment they provide the perfect respite for a cool and refreshing good time all year long. 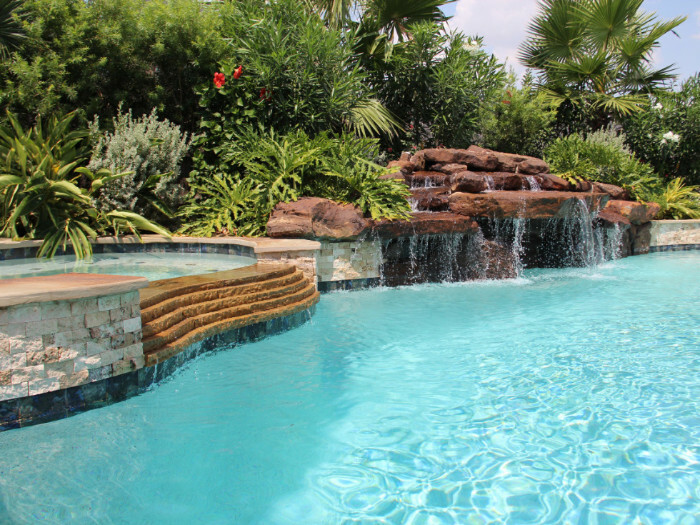 Whether a cozy dip for two in the spa or a wild splash party for the whole neighborhood a swimming pool is a vacation paradise right in your own backyard. Design options are limitless. 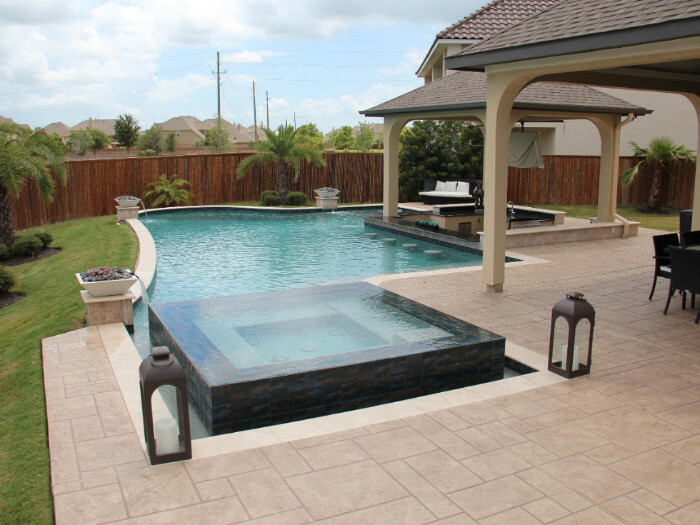 Contemporary showcases pools that have a formal feel to them. They typically have a combination of straight lines and curves and are often symmetrical. 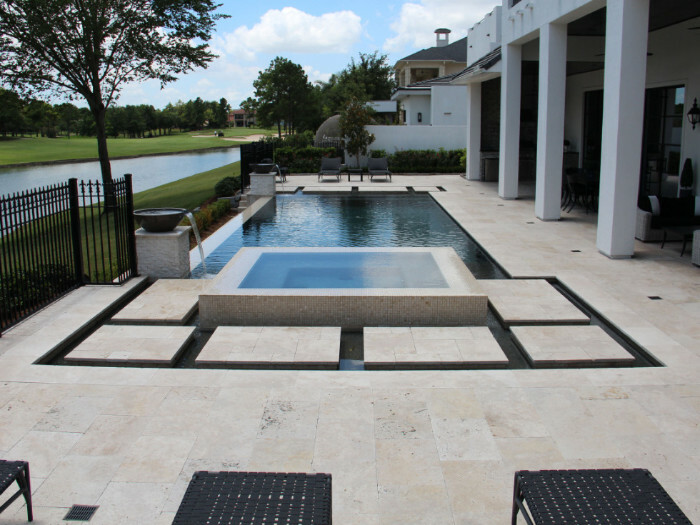 Natural Free Form showcases pools that have very few straight lines. 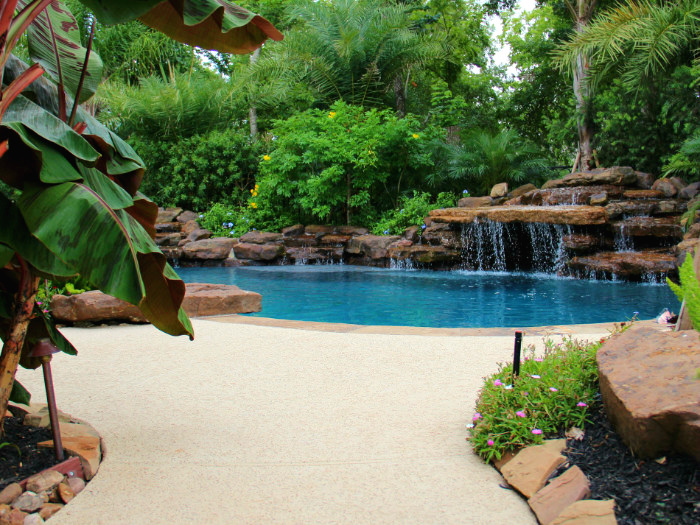 They are more often built with natural stone and have a more relaxed tropical feel to them. 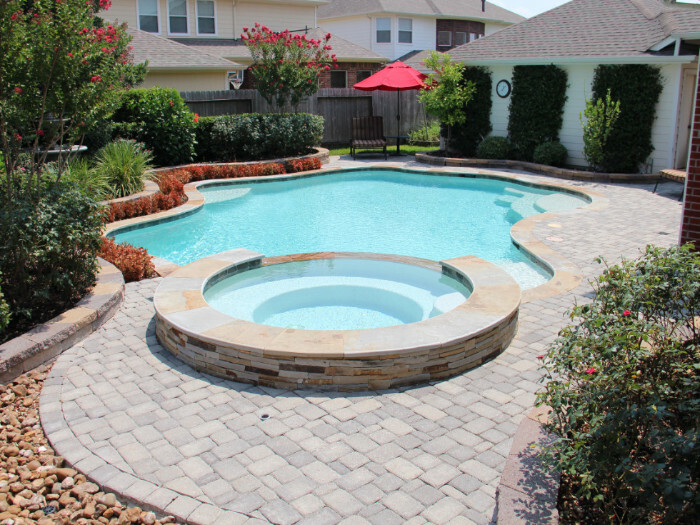 The G. T. family is very happy with the project that Custom Outdoors helped us create. We would like to point out some important things that we believe were very important for the success of this project. While our house was being built, we contacted Kenneth for some advice. He responded promptly without even knowing us or knowing that we would give him the project. He gave us some advice regarding what kind of connections would be important to have, so we asked the builder and we got them. It was amazing to see Kenneth put in paper what we had in mind for our project. Laura was a key to the success of this project. When we met her, she was able to perfectly read what we had in our minds regarding colors, spaces, water falls, etc. Fernando Nava was the person who help materialized our dream to reality. We loved and appreciated the way he took care of every single one of the details so the project in general would look as perfect as possible. There were some issues building the kitchen and the bathroom and when we were not very happy about the outcome, Fernando was always able to fix it. We loved that!!! We also really appreciate that he was always available to us for anything we wanted to ask and that he took care of every concern that we had. This is the first time we built a project like this and had a LOT of questions and concerns. Monica and Jacob helped us a lot too. Monica gave us a great course about how to take care of the pool. Every time Jacob came he did a good job and he let us learn from him. Sometimes we kept asking the same questions and he answered them every single time. 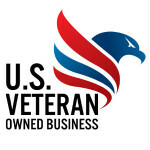 We have had a couple of issues that needed the company’s attention and Linda was always ahead of us, which made our lives easier. All of them have been resolved. Monica T. and Daniel G.